Shire Rats Radio 1 Dec 08 feat Mr Doris – Archive! Many thanks again to Mr Doris for the awesome mix, that was recorded live at the beatclinic in London. 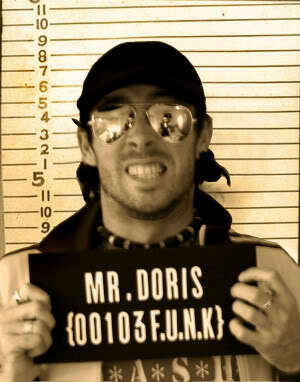 If you want to check out more about Mr Doris and find a live show near you, visit his myspace Here. There’s also links to a whole host of awesome mixes available from his page. Next Shire Rats Show is this coming Monday 15th December featuring another guest mix from Umbo of Timewarp records. Re: Shire Rats Radio 1 Dec 08 feat Mr Doris – Archive! Location : Maldon, Essex baby!